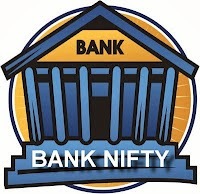 BANKNIFTY (10082) - Posted on 01st Oct when it was traded at 9600 "Resistance 9750-9950 below that down move only but in case trade and stays above 9750-9950 then only think about the upside target until then no need"
whereas on 01st Oct itself, after making low 9583, reversal happened and on 03rd Oct it traded above the mentioned resistance of 9750-9950 and went up to 10328 on 04th Oct. and yesterday it came down and took support at 9877. (so earlier resistance level of 9750-9950 now it becomes support). ITC (340) - See post dated 19th Sep.